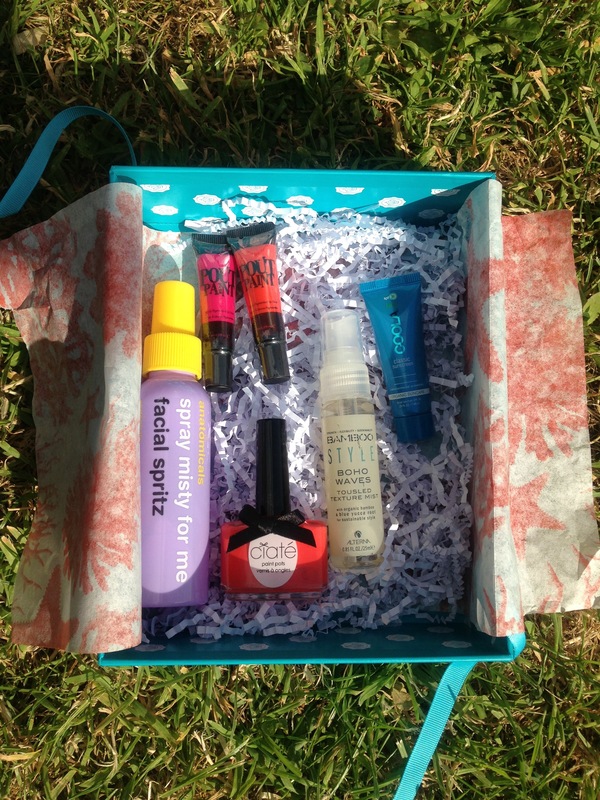 I received my July Glossy Box this month and loved it so much, I thought I’d share what I received, with you! So this months, theme was Summer Splash and my oh my, were the products ready for summer! The first product is this gorgeous nail varnish from Ciate (the first Ciate product for me) and its in this shade called The Glossip. 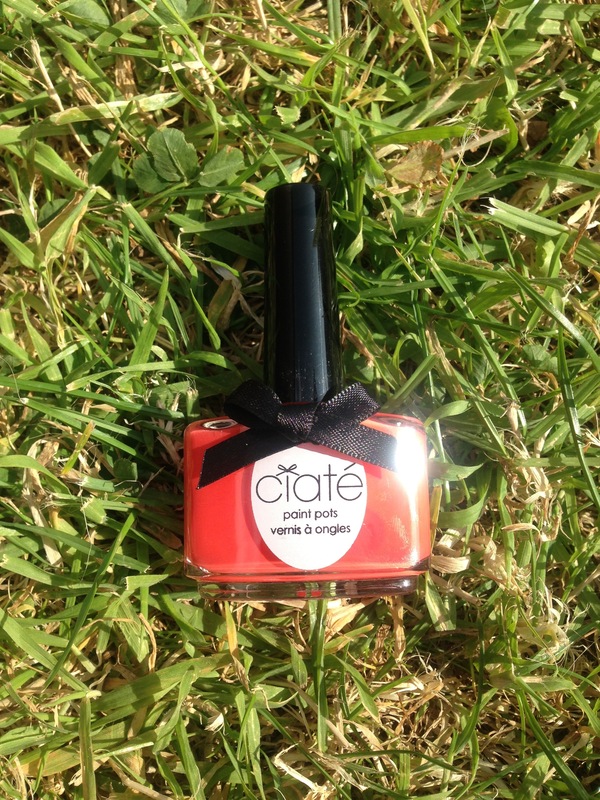 It’s a lovely coral orange colour perfect for these summer days! It looks lovely with a nice light golden tan! 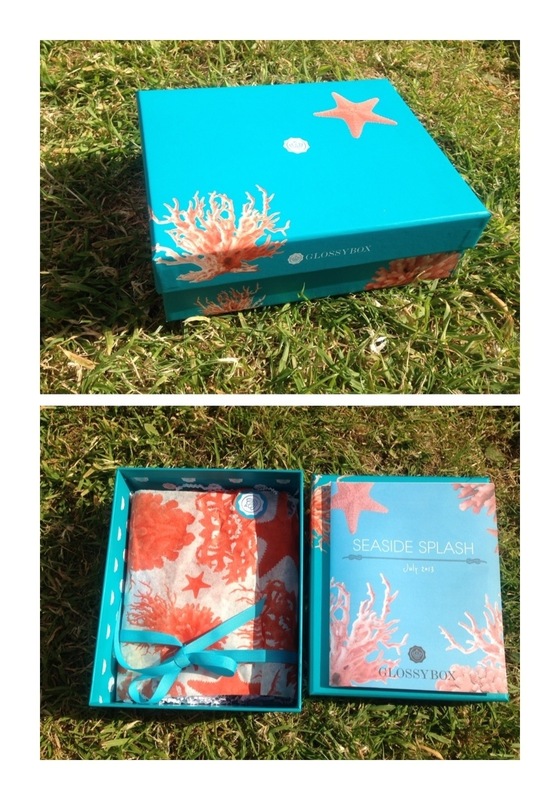 The colour looks fabulous with one thick coat and I love the packaging too! 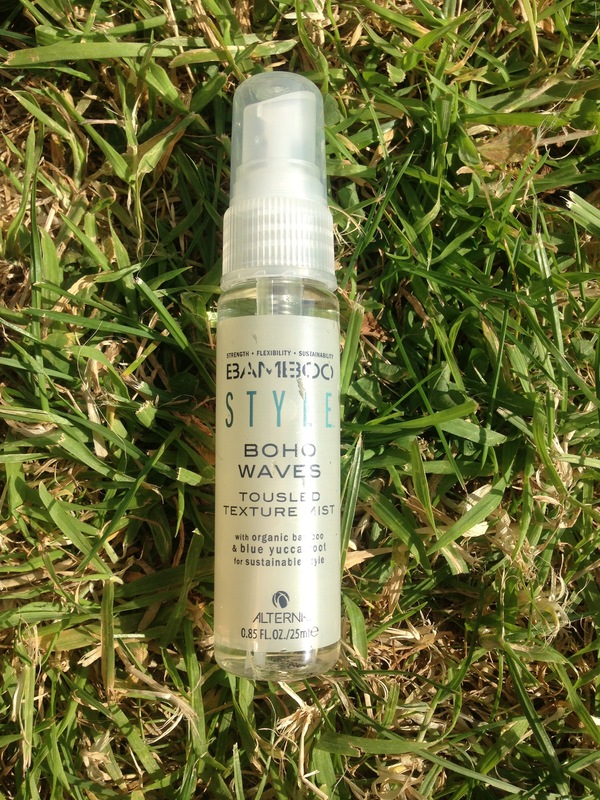 The next product is this Alterna Bamboo Style Boho Waves tousled texture mist!! What a mouthful! I tried this as soon as I got it because it says to apply to damp hair and I had just washed mine! It’s supposed to give you nice beach waves that look effortless. When I applied it, the spray isn’t really a misty haze, more of a semi-squirt which wasn’t that appealing! Then once it had gone in my hair, it felt so strange! Almost like my hair didn’t want to dry because the product was on it. It became frizzy and in areas where I had sprayed a little too close, the spray had collected to form a kind of oily/dampish area which was unusual! I don’t know if it didn’t work on my hair but my barnet has never rejected any product before so I’d be surprised! My hair never really curled at all and although in the areas where I sprayed it too close, my hair had texture, I was unimpressed by this product. 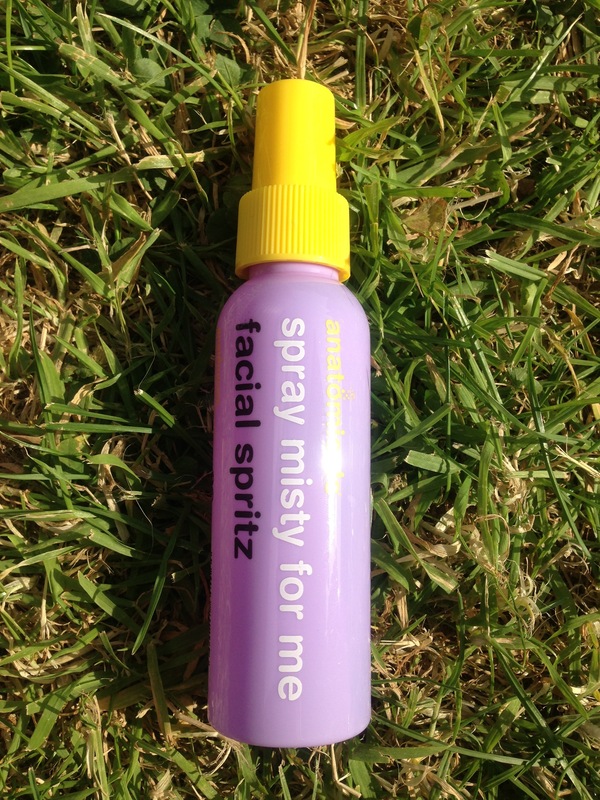 I then gravitated towards this product by Anatomicals called Spray Misty for me Facial Spritz! They always have the most quirky names and descriptions on the back! This is supposed to be a facial spray which helps to cool your face leaving you refreshed and glowing! I tried this myself.. Didn’t really notice a difference and then tried it on my mum! My mum was in the kitchen cooking at the time so was very hot and my mum sweats a lot too (cause she drinks a horse full of water everyday). And she said after applying the mist, she never sweat at all! She looked radiant and glowing a few minutes after the spray set in and she loves the smell of lavender! My mum gives it a 6/10! This product is a must for everybody in summer in my eyes.. SPF! 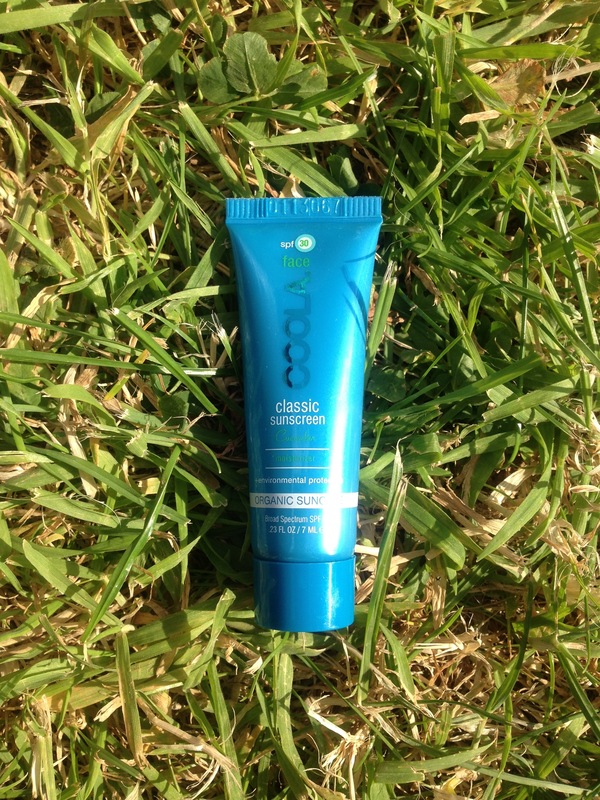 Face COOLA classic sunscreen! It’s the cucumber scent and is very refreshing on the skin! Unlike most sunscreens, this never felt sticky at all and really just glided on and then disappeared into my skin. The product wasn’t too thick and didn’t feel sticky at all so I really like this! I’ve truly saved the best until last! 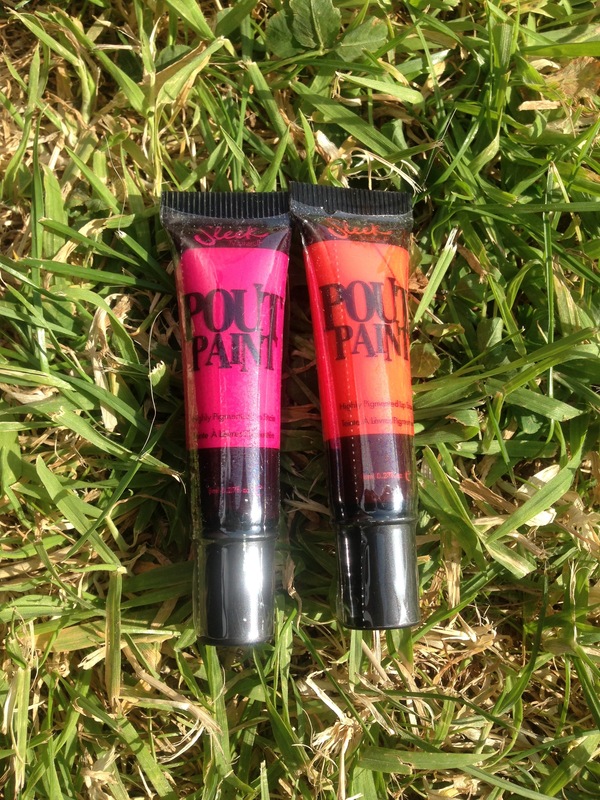 These are the Sleek Pout Paints and there are two that come in the Glossy Box! A beautiful bright pink called Pinkini (go on my Instagram to see the Instavideo I did on this) and a gorgeous orange in the shade Lava. 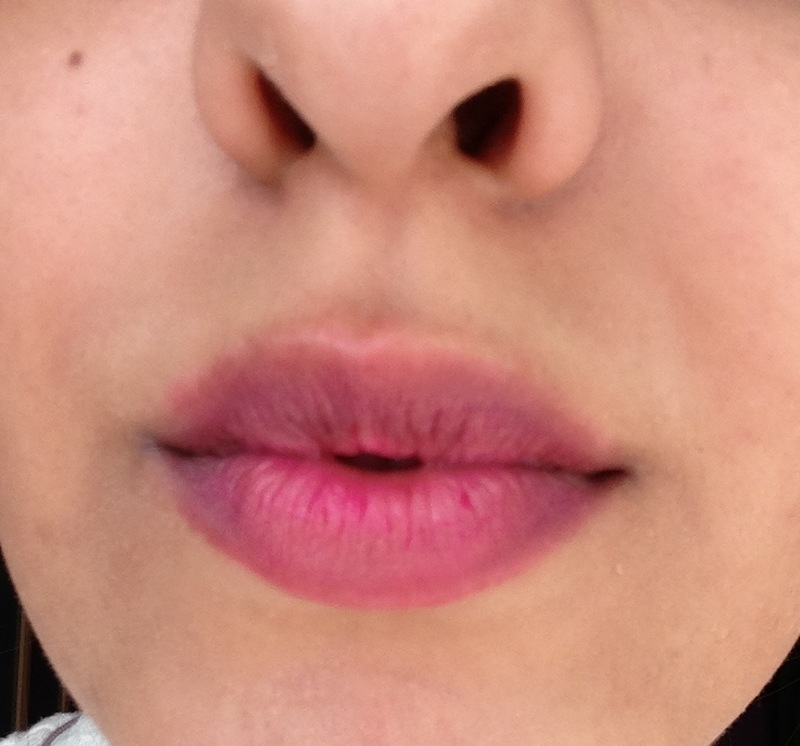 I tried this straight away and I loved the way they liked on my lips! Because they’re stains, they don’t budge so I’m tempted to use them on my cheeks too! They’re supposed to mix-able with other colours so some people received silver or blue but you can create your own shades! I’m glad I got the two shades I did though, because I don’t want to live without them now! I previously bought one if these in the shade Minx and was a little disappointed by the colour! 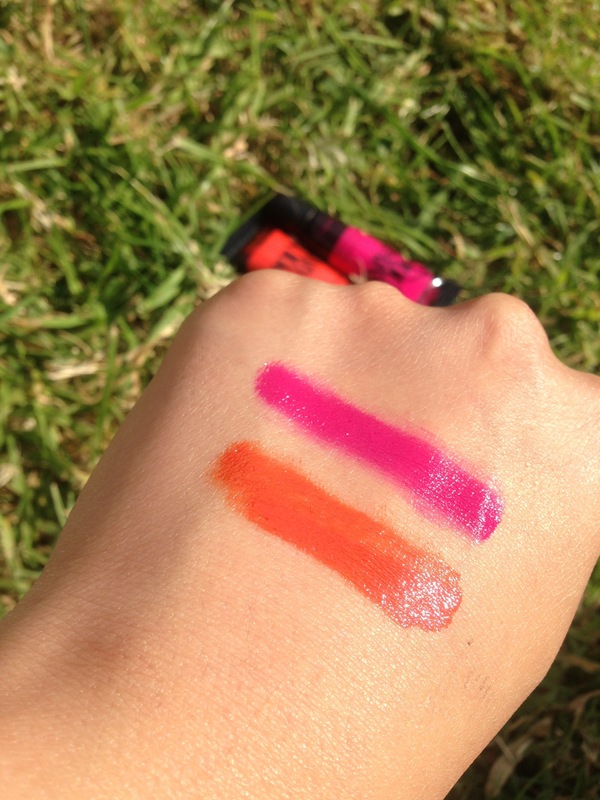 It’s UBER pigmented but because they’re oil based, they separate when you don’t use then for a little while.. All the more reason to rock a bright lip everyday!